Fair use and open access are two crucial tools that serve the same core purpose: making information maximally available and useful without running afoul of copyright law. A comprehensive strategy for increasing access to knowledge has to bring both tools to bear (at least in countries where fair use or something like it is available). Fair Use Week itself is evidence that Lessig’s clever put-down has not worn well over time; fair use is more-and-more understood as a reliable First Amendment right that powers the HathiTrust, South Park, and This Charming Charlie with equal aplomb. Fair use will not generally allow levels of access and use that are as wide open and unambiguous as open access, but fair use is still a crucial—and reliable—part of the legal protections for libraries and our users. Yes, in other words, of course you can, and the license tells you how. Because a CC license creates certain expectations in users (namely, that they can reuse any or all of the work under the terms of the license), you should be sure to manage those expectations and help users make smart choices. Users, by the same token, will need to be familiar with fair use generally in order to determine whether and how the doctrine will continue to shield downstream uses of these “mixed” openly-licensed works. So, for the foreseeable future, fair use and open access will be two great tastes that taste great together. Fair use will be a vital right for as long as we want to comment on, critique, and otherwise engage with the vast majority of culture. 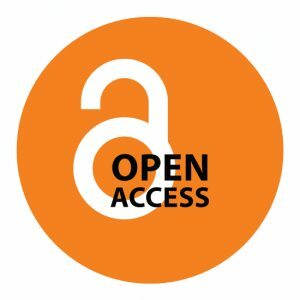 Open access will be the best way to ensure that the next generation of discoveries ideas have maximum impact. And when new ideas, aesthetics, and insights build (as they so often do) on the works of the past, and are published with an open license, well, that’s the best of both worlds. Brandon Butler is Director of Information Policy at University of Virginia. There he works on implementing programs to guide the University Library on issues of intellectual property, copyright, and rights management for scholarly materials. Before that, Brandon was Director of Public Policy Initiatives at ARL from 2009 to 2013.